OASIS IN RIVERDALE—The Edward Cardinal Egan Pavilion in the Riverdale section of the Bronx was dedicated by Cardinal Dolan on Oct. 12. The Cardinal Egan Pavilion is an expansion of the St. John Vianney Center for Retired Priests, of which the John Cardinal O’Connor Pavilion is also a part. ABUNDANT BLESSINGS—Cardinal Dolan blesses the chapel during the dedication of the Edward Cardinal Egan Pavilion in the Riverdale section of the Bronx on Oct. 12. The Cardinal Egan Pavilion is an expansion of the St. John Vianney Center for Retired Priests, of which the John Cardinal O’Connor Pavilion is also a part. Cardinal Dolan recently blessed and dedicated the new Edward Cardinal Egan Pavilion, an expansion of the St. John Vianney Center for Retired Priests in the Riverdale section of the Bronx, which includes the John Cardinal O’Connor Pavilion, now 13 years old. Before the Oct. 12 dedication ceremony at 5655 Arlington Ave., Cardinal Dolan offered Mass in the chapel of the Cardinal O’Connor Pavilion concelebrated by numerous priests, both active and retired—including retired Auxiliary Bishop Robert Brucato. Among the congregants were a number of benefactors of the St. John Vianney Center, named for the patron saint of parish priests, the Curé of Ars, St. John Vianney. On several occasions throughout the Mass and dedication, he thanked and praised his predecessor, the late Cardinal Egan, the new facility’s namesake, for his “genius” in converting the former college seminary to the Cardinal O’Connor Pavilion. 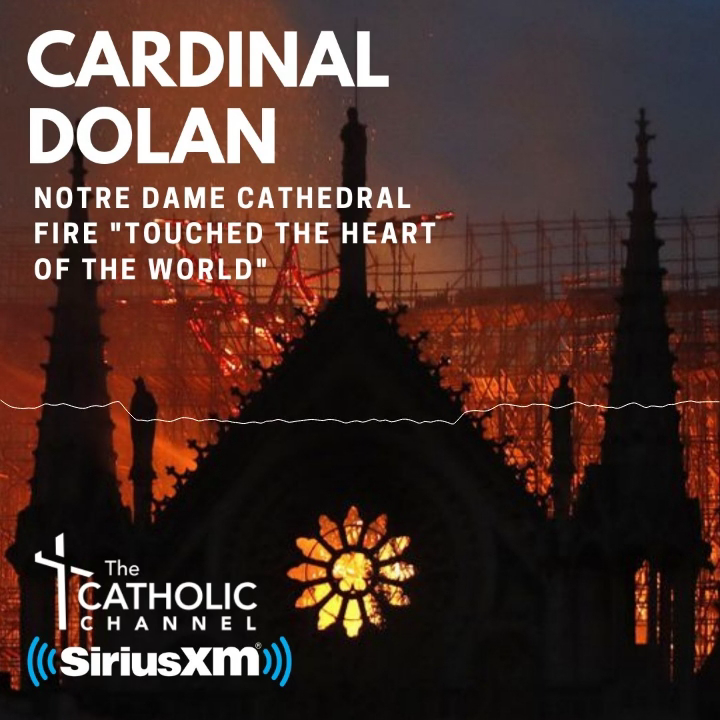 “We’re honored to name this new residence after him,” Cardinal Dolan said of the Cardinal Egan Pavilion, which is connected to the Cardinal O’Connor Pavilion. Cardinal Egan, who died on March 5, 2015 at age 82, served as Archbishop of New York from 2000 to 2009 and then was the first Archbishop Emeritus. He also served under Cardinal O’Connor as an auxiliary bishop and vicar for education in the archdiocese, 1985-1988. The cardinal acknowledged the aid that came from the New York Catholic Foundation and the representatives of that organization who attended the Mass and dedication. The Cardinal Egan Pavilion has a capacity of 44, including a 13-bed enhanced care unit. Cardinal Egan dedicated the Cardinal O’Connor Pavilion in September 2003. Its capacity is 34 priests, and it has two guest rooms for active priests who have health concerns. Among the new residents is Msgr. Robert Stern, 84, who, at the time of his retirement in 2011, had served as secretary-general of the Catholic Near East Welfare Association (CNEWA) since 1987. He was ordained in 1958. He and a number of priests have bragging rights for being among the first to move into the residence, in early August. “It’s beautiful. It’s so nice. Everything is taken care of. Three meals a day—delicious, tasty meals. They take care of your room for you,” he said, and there’s laundry service. Father Adams retired in 2014. Among other assignments, he had served as pastor of St. Agnes parish in Manhattan, 2002-2011. He was ordained in 1965. “The chapel is beautiful—I love it,” Father Adams said of the beautifully appointed worship space on the first floor of the Cardinal Egan Pavilion. Father Imbelli also taught at St. Joseph’s Seminary in Dunwoodie and Maryknoll Seminary. He retired in 2014. He was ordained in 1965.